Air Force service members who have been stationed in Japan had the opportunity to reunite at an event hosted at Joint Base Anacostia-Bolling in Washington, D.C. 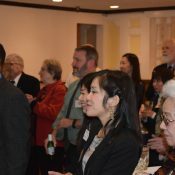 The event, hosted by the Defense Attaché office of the Embassy of Japan in the United States, was held Friday, March 10 from 6 to 8 p.m. at Joint Base Anacostia-Bolling’s The Bolling Club, and welcomed guests with a reception and buffet-style dinner. Two days before the sixth anniversary of the 3.11 disaster, Professor Kyle Cleveland joined this YCAPS-JUMP event in Yokosuka to discuss how radiation exposure was assessed during the most dire phase of the Fukushima nuclear disaster. 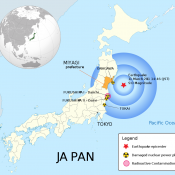 He looked at the emergency management of the crisis, focusing especially on how the level of risk was assessed by nuclear experts and state-level actors who worked largely out of view of public scrutiny. 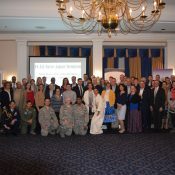 Active duty and retired U.S. military personnel who have been stationed in Japan, as well as interested civilians, had the opportunity to join a Japan-U.S. Military Program (JUMP) event hosted in Atlanta at the residence of Consul General Takashi Shinozuka. 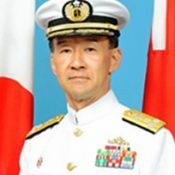 Vice Admiral Umio Otsuka will offer reflections on why the Japan-U.S. Alliance has been particularly successful despite the allies’ contrasting cultural and historical backgrounds. He argues that the Alliance’s enduring value is less a matter of responding to threats, but in more deeply rooted in creating opportunities to promote freedom and democracy. 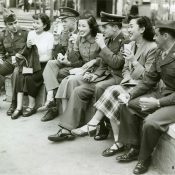 Fall Seven Times, Get Up Eight: The Japanese War Brides, documents the stories of the more than 40,000 Japanese women who married American service members during the post-World War II occupation. JUMP is excited to have supported this film screening hosted by The Yokosuka Council on Asia-Pacific Studies (YCAPS). 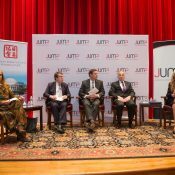 JUMP, in collaboration with the Japan America Society Washington, D.C., and the National War College Alumni Association, was excited to host the second installment in our JUMP panel discussion series on November 3 at the National War College. 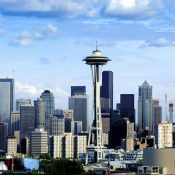 Please join us for “Potential Flashpoints for the Northeast Asia Region: Japan, China, the Korean Peninsula and U.S. Perspectives,” a panel discussion exploring the different actors in region. We will hear from distinguished experts on Japan, Korea, China, and the United States, and discuss the potential for conflicts between these nations and others in the region. The audience also will have the opportunity to weigh in with a Q&A after the panel. 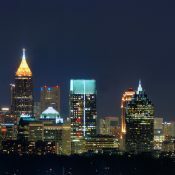 Click through for all the details or sign up for our newsletter to secure your invitation! 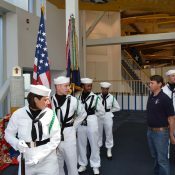 In coordination with the Japan-America Society of Northwest Florida and the Consulate General of Japan in Miami, the Japan-US Military Program (JUMP) held its second annual event at the National Naval Aviation Museum in Pensacola, Florida on October 22, 2016. The event began at 1 p.m. with a Japanese taiko drum performance in the Blue Angels Atrium. A reception followed on the flight deck of the USS Cabot until 4 p.m. Captain Mark A. Truluck, USN, the commanding officer of Naval Aviation Schools Command, delivered opening remarks, and keynote speakers included the Honorable Ken Okaniwa, Japan’s consul general in Miami, and Admiral Patrick Walsh, USN (retired), the President of Strategic Programs at Academic Partnerships LLC and Senior Fellow and Acting Director of the Tower Center Program in National Security & Defense at Southern Methodist University. Click through for all the details and the full list of speakers! 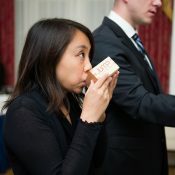 The Japan US Military Program (JUMP) hosted a Japanese sake & whiskey tasting and food pairing on Friday, September 30, 2016 at The Army and Navy Club on Farragut Square in Washington, D.C.
Members of the U.S. Army, U.S. Air Force, and Japan Ground Self-Defense Forces came together in Seattle on September 17, 2016 for a Japan-US Military Program (JUMP) event to honor the Nisei Veterans—second-generation Japanese-Americans who served in the segregated 100th Battalion/442nd Regimental Combat Team (RCT) and the Military Intelligence Service (MIS), during World War II.